GQ was delighted to work with the Syngenta Seedcare team once again for their stand for ESA 2017 in Latvia. The European Seed Association’s annual event is a huge event for the seed industry, with more than 1,000 attendees from all over the world. 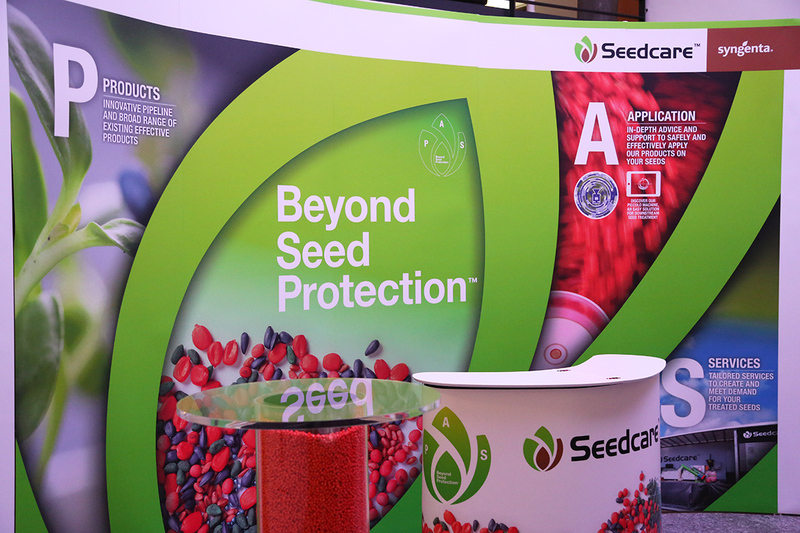 As well as a vibrant and impactful stand design, we produced an animated timeline video following the industry and Syngenta Seedcare’s progress through the years. The fresh and fun style was a hit with all of those who visited the stand, and GQ are now rolling out translated versions for the other countries in the global team.